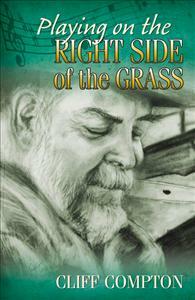 Playing on the Right Side of the Grass is a chronicle of one man’s long time love affair with bluegrass music and the people who play it. The bluegrass community is a rich source of poetry. A community of like- minded souls from all backgrounds, political persuasions, and ethnicities bonded by a love of community and this special music. We, gather together in every locale to pick, and listen to music, connecting in a way that is not common in this present time. How often do we have the opportunity to connect at a heart level with a stranger? To touch someone, with something as simple as a song. Playing on the Right Side of the Grass is a love letter to, and about, the bluegrass community.